Ready to have a wild time as you race to find the matches? 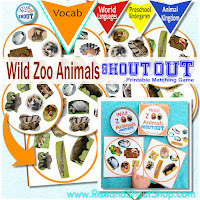 Wild Animal Shout Out is great for preschool and kindergarten kids learning their animals and animal sounds. 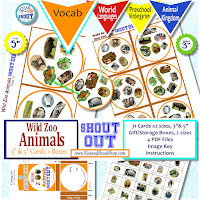 Or play with older children and teens to teach animal vocabulary in a second language. This is my first venture away from clipart and into real photos. I noticed with clipart, often my kids wouldn't recognize animals they weren't familiar with in nature. But, now, my kids are excited when we go to the zoo and they see the animals. 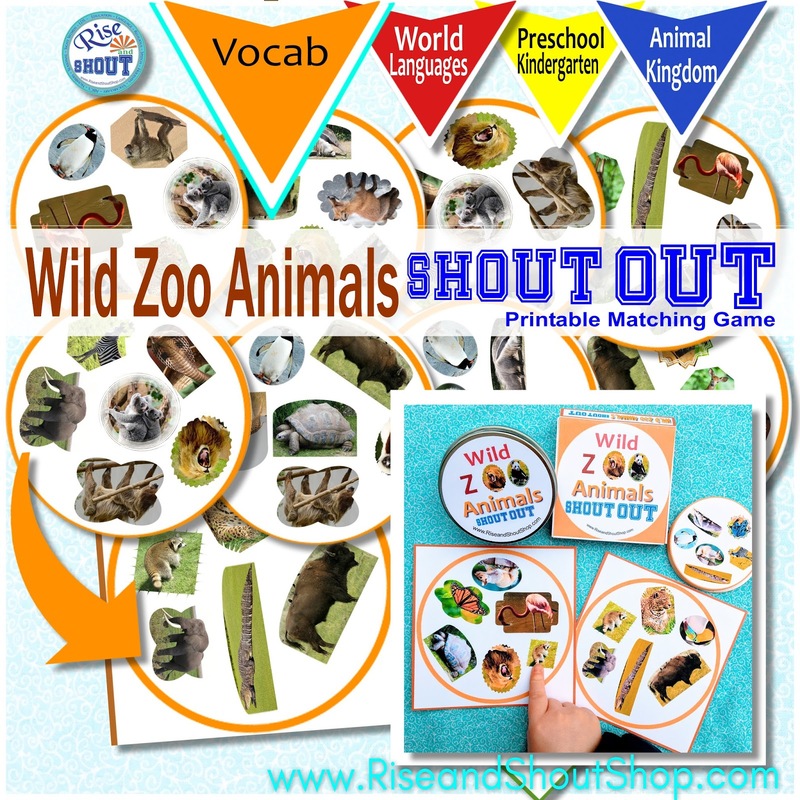 For a funny, alternative way to play, instead of naming the animals, make their sounds instead. Don't know what sound a giraffe or butterfly make? Make up your own sounds or words that target sounds or ideas you're emphasizing. Or make it crazy, like doing raspberries or clicking noises with your mouth. Soon you'll be rolling with laughter. 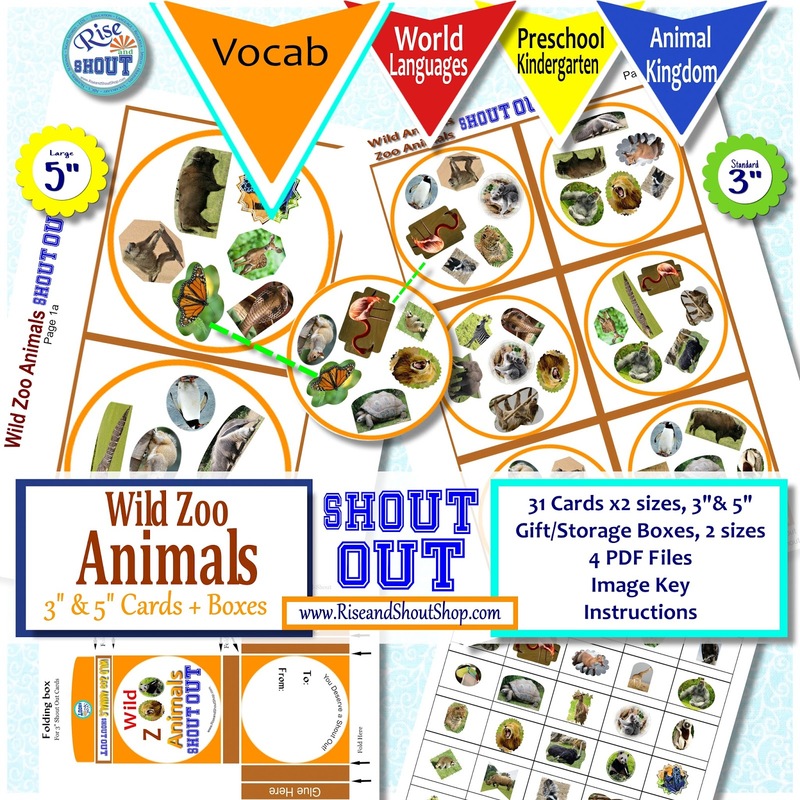 Don't forget the Shout Out is an ideal travel game. Get off the screens at restaurants, practices and other places your waiting around. Coming soon: Animal Pets and Farm Animals! Have a "roaring" great time!